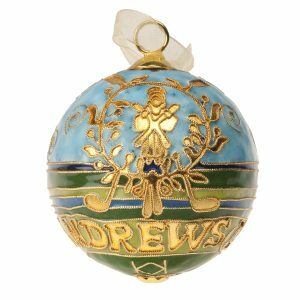 A unique cloisonné Christmas ornament by Kitty Keller Designs. 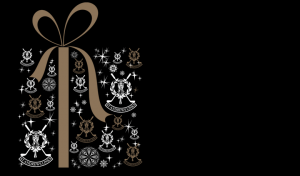 Completely handcrafted, no two ornaments are exactly alike. This beautiful piece is inlaid with enamels and plated with 24k gold to create a work of art your family will enjoy for years to come. 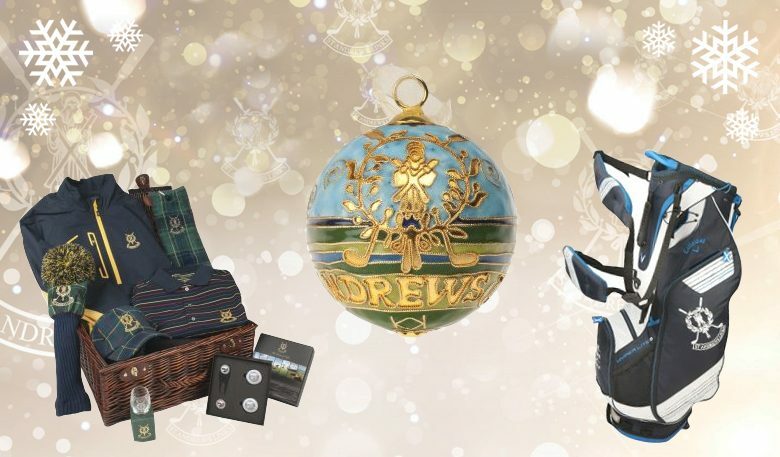 A gift card from St Andrews Links is the perfect present for the golfer in your life. 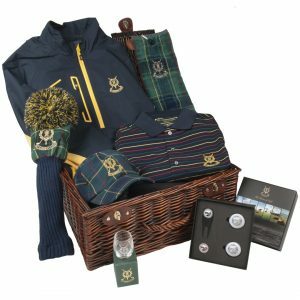 Gift cards can be redeemed against a round of golf, a lesson at our Golf Academy, lunch in one of our clubhouses or in any of our shops which stock the official merchandise for St Andrews Links, the Old Course and the Home of Golf. 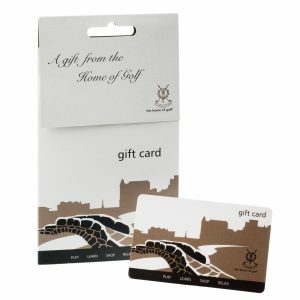 Gift cards can also be redeemed in our online shop or against an available tee-time. 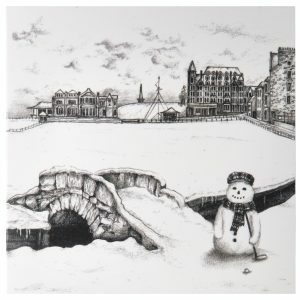 A Charming pack of 5 Christmas Cards featuring the Swilcan Bridge in a snowy scene, etched by Jonathan Dowling. The Greetings Cards are blank inside so you can write your own message. Callaway and St Andrews Links have teamed up to offer a Limited Edition Hyper Lite 3 stand bag in a striking blue and white design. 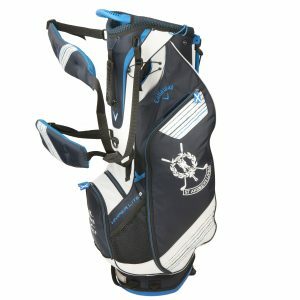 This lightweight golf bag features the St Andrews Links and Callaway logos and boasts several pockets and pouches including a insulated drink pocket and pouch for your mobile phone. 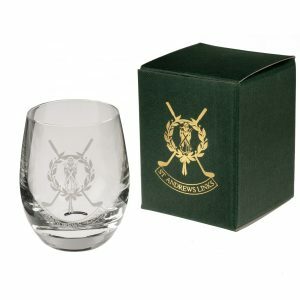 A nice little stocking filler, this whisky tot glass is engraved with the St Andrews Links logo and comes with a matching presentation box. 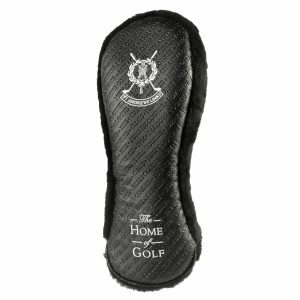 This black driver cover, stamped with the names of the St Andrews Links courses, features the St Andrews Links logo and ‘The Home of Golf’ embroidered in white. 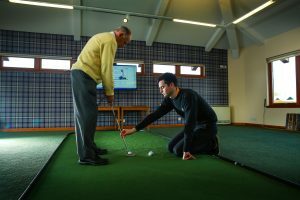 A 90 minute session includes: Putting stroke analysis on the SAM PuttLab system, comprehensive coaching using corrective drills and exercises, loft and lie adjustments to your current putter with our customisation team, how to read greens with confidence and setting goals for the future. 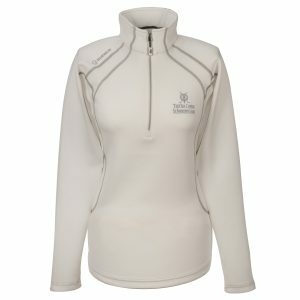 Ladies Sunice Megan pullover in white. A breathable performance layer to reach for on cool and windy days, this quarter-zip makes a stylish statement. Each box contains a divot tool with detachable, magnetic marker featuring the St Andrews Links logo in white on a black background, a flat marker with the St Andrews Links logo in black on a white background and seven flat markers, one for each of the seven courses. 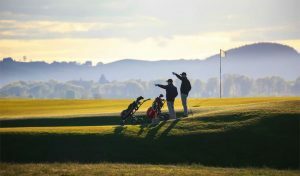 A card insert is also included which details interesting facts about the courses here at the Home of Golf. 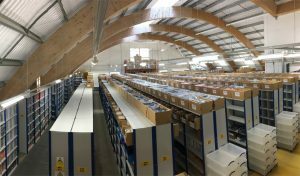 Browse our online shop for more gift ideas.